This is a 1 day course from 10am till 3pm which includes materials, use of tools and equipment, professional tuition, lunch and refreshments. All courses are run from Redcurrant Glass studio based in the heart of Pendle, Lancashire. 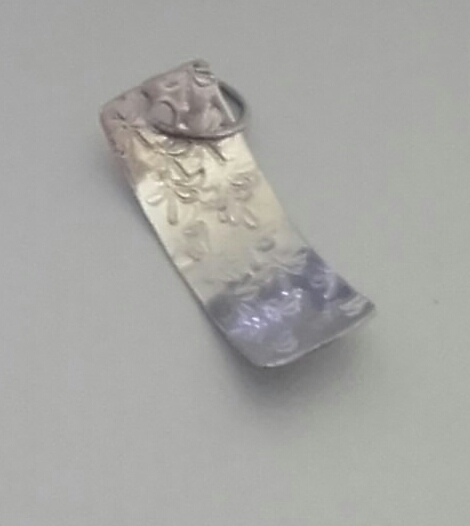 You will create stamped silver pendants earrings or aluminium bangles and learn techniques such as annealing, soldering, forming and shaping silver, finishing texturing and polishing.